The actor Anegawa Shinshirô I held this name from the 11th lunar month of 1710 to the 11th lunar month of 1749. Dates of birth and death unknown. Adopted son of Anegawa Shinshirô I, his first stage name was Anegawa Shinnosuke. He took the name of Anegawa Shinshirô II in the 11th lunar month of 1755, when he became zamoto at the Ônishi no Shibai, where he produced the kaomise drama "Genpei Ôgi Awase". He was active up to 1763. No record afterwards. Dates of birth and death unknown. His first stage name was Anegawa Ichimatsu. 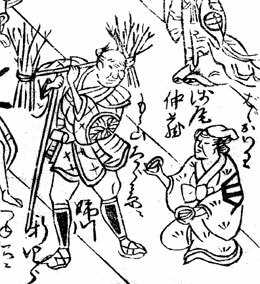 He took the name of Anegawa Shinshirô in Ôsaka in the 11th lunar month of 1764 and held it up to 1774. 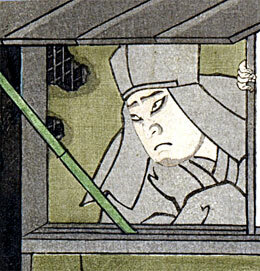 He performed in Edo as a wakaonnagata at the beginning of the 1770s. No record afterwards. The actor Anegawa Shinshirô III held this name of from the 1st lunar month of 1784 to the 2nd lunar month of 1805. Dates of birth and death unknown. 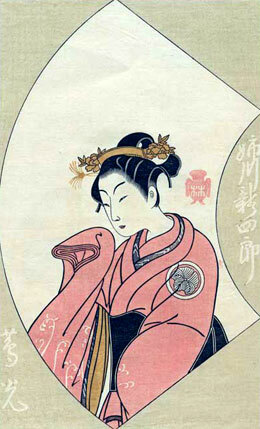 Disciple of Anegawa Shinshirô III, his first stage name was Anegawa Torazô. He took the name of Anegawa Shinshirô in Ôsaka in the 1st lunar month of 1817. No record afterwards. The actor Anegawa Shinshirô IV held this name of from the 11th lunar month of 1847 to the 4th lunar month of 1853. Dates of birth and death unknown. 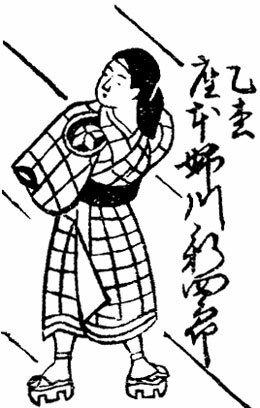 A minor actor held the name of Anegawa Shinshirô in 1875 but he was never acknowledged as an official holder of the name. No record afterwards. Born in 1844. Disciple of Jitsukawa Enjaku I, his first stage name was Jitsukawa Shinshirô and he started his career at the beginning of the 1870s. He took the name of Anegawa Shinshirô while performing in Kanazawa. He took back the name of Jitsukawa Shinshirô in 1882. He took back the name of Anegawa Shinshirô in 1897 and held it up to 1914. No record afterwards.